Monday, the U.S. Supreme Court decided to hear a case that could have far reaching implications in agency law—including for government contractors. The Court granted certiorari to a case that could greatly diminish the amount of deference given to agencies interpreting their own regulations. 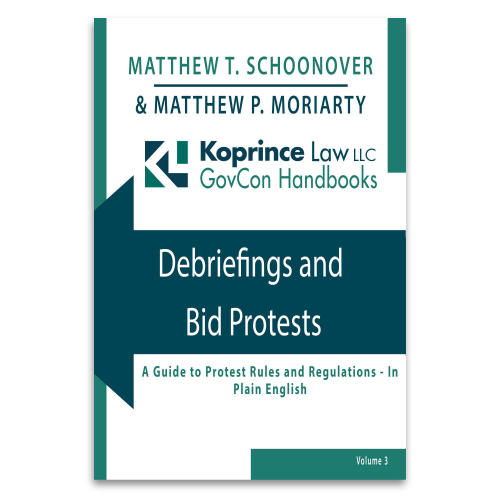 For contractors, a Supreme Court decision to curtail agency deference could lead to increased success rates in bid protests and other disputes. Despite older case law to the contrary, the GAO ordinarily lacks jurisdiction to decide a protest challenging the award of a subcontract, even where the subcontract is alleged to have been made “for” the government, as in the case of some subcontracts awarded by DOE Management and Operation prime contractors. In a recent decision, the GAO confirmed that, except in very narrow circumstances, it won’t decide protests challenging subcontract awards. Not too many government contracting disputes make it to a federal court of appeals—the level just a step below the U.S. Supreme Court. The most notable recent examples would probably be the Federal Circuit’s decision in Kingdomware Technologies (which, as SmallGovCon readers know, was ultimately overturned by the Supreme Court in 2016) and the D.C. Circuit’s decision Rothe Development (which the Supreme Court declined to consider). But recently, the Federal Circuit issued a decision of note to government contractors. In AgustaWestland North America v. United States, the Court issued guidance on what constitutes a “procurement decision” and upheld the Army’s decision to buy helicopters on a sole-source basis. Although a lease may be a “contract” in common parlance, does a lease qualify as a contract under the Contract Disputes Act? 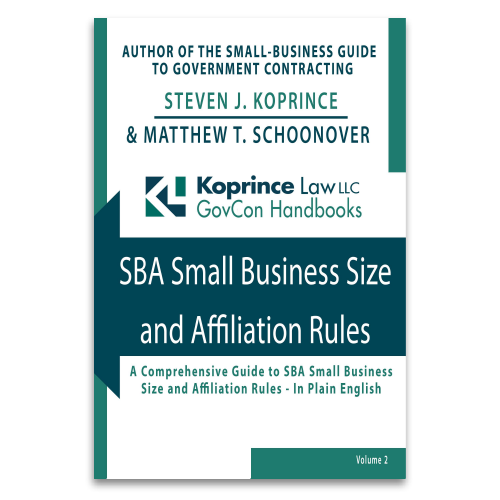 The answer is important, because the Contract Disputes Act provides jurisdiction for the Court of Federal Claims and Board of Contract Appeals to decide challenges to contracting officers’ final decisions. If a lease isn’t a contract under the Contract Disputes Act, government lessors could be in a bind. The United States Court of Federal Claims recently decided the issue–and came down on the side of lessors, at least under the facts at hand. Will The Supreme Court Put “Veterans First” In The Kingdomware SDVOSB Case? Is the Department of Veterans Affairs required to prioritize service-disabled veteran-owned small businesses (“SDVOSBs”) when it buys supplies and services? That, essentially, will be the question before the Supreme Court when it takes up the case of Kingdomware Technologies, Inc. vs. United States. On June 22, the Supreme Court agreed to hear the case. The Supreme Court’s decision in Kingdomware will end a long-running battle between the VA and various SDVOSBs, which have accused the VA of creating loopholes to avoid a statutory contracting preference for veterans. Hopefully, the Court will get it right. As a matter of policy and law, the underlying decision of the U.S. Court of Appeals for the Federal Circuit is fundamentally flawed. In a crushing blow to SDVOSBs, the U.S. Court of Appeals for the Federal Circuit has denied the appeal of a lower court decision allowing the VA to procure goods and services using the Federal Supply Schedule without first considering whether SDVOSBs can satisfy the requirement. Rejecting well-stated objections by a dissenting judge, a two-judge majority held that the purpose of the “Veterans First” rule is to ensure that the VA meets its SDVOSB goals, and that so long as the VA meets its SDVOSB goals, it is free to procure services and supplies from the Federal Supply Schedule without first considering a SDVOSB procurement.